I’m big on reading and the journey books can create in your life. 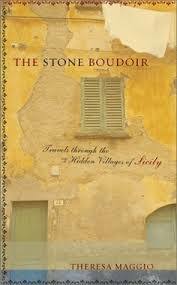 If you can’t travel a book can give you an authentic experience without leaving your armchair. Sometimes travelling isn’t always possible but this is no reason not to experience a place through its literature. Sicily has inspired many locals and foreigners with its history and unique character while the Sicilian migrant diaspora has created a rich selection of island inspired literature all over the world. 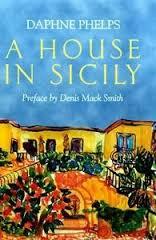 So if Italy is out of your reach dip into my personal reading list to experience Sicily in all of its splendour. This is a wonderful historic novel set in the world of the ancient Sicilian aristocracy is filled with sumptuousness and decadent expressions of baroque Sicily. This classic work of literature written by one of the islands most famous writers and superbly crafted with many truths about the nature of Sicily. 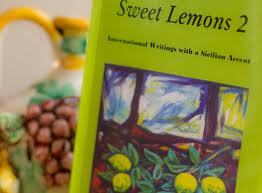 This anthology published in Canada collects the best of Sicilian literature and contemporary migrant voices. (Ahem, including this humble blogger) Self promotion aside it is a must read for those keen in having a general taste of contemporary Sicilian culture and migrant literature from all around the world. Theresa Maggio is one of my favourite writers her works are filled with gorgeous description, refreshing brevity and a stunning understanding of her subject matter. Her writing style is poetic, vivid and simple. Total magic. Here is another book from Ms Maggio, I couldn’t resist putting this one on the list simply for its mixture of autobiography and travel writing. 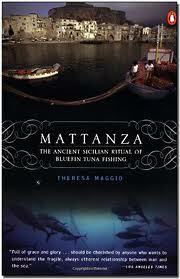 It documents an ancient Sicilian tradition and Maggio’s own personal love story. This one is currently out of print but if you can manage to track it down through a public library it would be worth the trouble. I also managed to interview Theresa Maggio a while ago, click here to read our conversation. 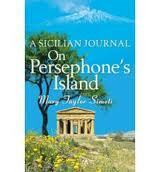 This personal journal depicts Taylor Simeti’s unique journey to Sicily and is an authentic portrait of life on this ancient island. Her writing is strong, honest and stunningly beautiful. Simeti is considered a living legend, she has written many books about Sicilian food and has a business based on the island’s traditional agriculture. This is a little dated now but it is a wonderful biography of a colourful English dame who inherits a house near Taormina and ends up moving to Sicily in the post world war two and ends up staying forever. 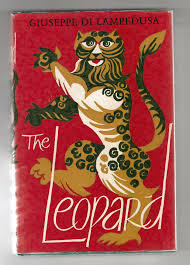 This classic is currently out of print but it is a wonderful book which will make you fall in love with the idea of Sicily and the late Daphne Phelp’s quirky adventures running a guest house with terribly famous guests in the then semi rural town of Taormina. 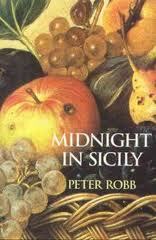 Peter Robb is an Australian journalist who spent many years living and working in Palermo, Sicily. It is a heavy book to make your way through filled with loads of history but it is great for anyone who wants to know the real facts behind real life politics and the mafia in Sicily. This is a prime example of superb Australian migrant literature, Armanno is a son of Sicilian migrants who uses the magic of his parent’s Sicily for the backdrop to this wonderfully crafted novel. 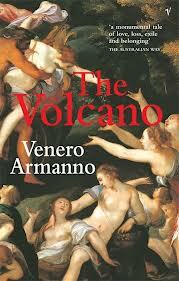 It is an epic journey through the Etna hinterlands from a cruel time and tracks the journey of a migrant to Australia. I spoke to Venero Armanno about this book and the other two which make up his Sicilian trilogy, click here to read more about this fascinating author. 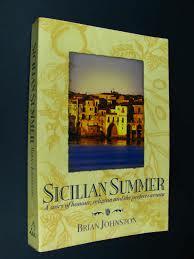 Sicily is an inspiring place, in fact Johnston spent only a summer here in Sicily and wrote this beautiful portrait. Johnston is a well known Australian travel writer and this book is filled with his signature observations and love of fine food. This little gem is out of print but if you want to know more about it be sure to read my interview with Brian Johnston here. Keahey is an American journalist who has written extensively about Italy and offers us many absorbing elements of Sicilian culture, history and literature. Keahey’s journalistic eye and sense of story is impeccable, through extensive and detailed interviews with many proud Sicilians he digs below any superficial mask to get to the heart of this place with insightful, rich and evocative insight. I recently spoke to John Keahey, click here to hear more about this great Italophile.